A good afternoon to you, Insiders, from El Segundo, where the Kings’ extensive practice began at 10:00 a.m. The drills were primarily rush and flow-type drills with a heavy skating component, followed by two-on-one and three-on-two attacking/defending drills with a battle element. After the team was done with pucks, a conditioning skate ended the practice, which stretched upwards of 70 minutes. The reason for the heavy skate was to optimize both work and rest in a period in which the team had a day off Sunday, practiced hard Monday and will take part in off-ice workouts Tuesday before returning to practice with a high workload on Wednesday. -Trevor Lewis (upper-body) is very close to a return. “Full practice today, which is great to see,” John Stevens said. “His conditioning is not an issue with him. He’s been able to do lots in terms of conditioning. We just had to get him in situations where it’s a little more of a hockey environment with contact along the walls and pushing and pulling, and he did well with everything. We’ll see how he responds after today, but he looks like he’s progressing along very well.” Lewis said that he had “no issues” and that it’s essentially a “waiting game” to see when exactly he’ll return to the lineup. That day could come Thursday. This week of practices is coming at a good time for the veteran forward. 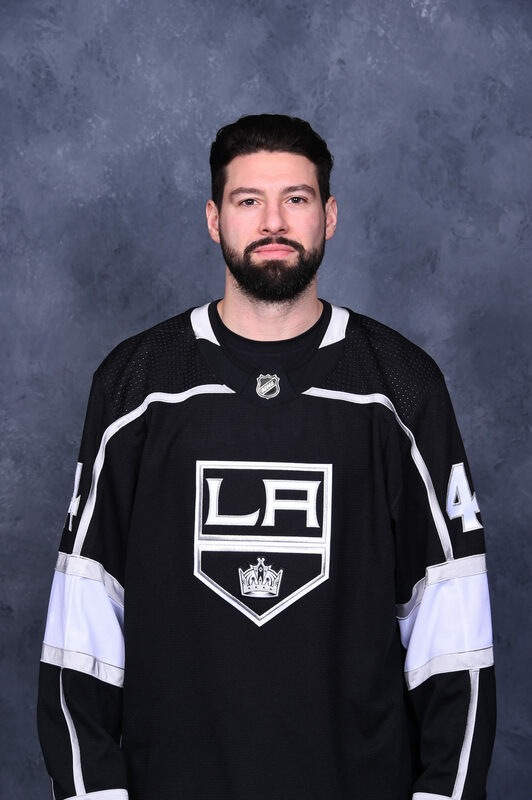 -Drew Doughty’s unsportsmanlike conduct penalty factored significantly into Saturday’s 5-3 loss to Chicago. We remember the call, so forgive the absence of full context here. Emotions were high after Saturday’s game and Doughty did not speak with the media. On Monday, he answered questions from the media present. It’s pretty difficult for me. Obviously, I kind of do it all the time. It’s kind of been a repetitive thing that I’ve been trying to fix. Obviously, I wish I didn’t do it. I don’t know if anyone’s really working with me on it. It’s just upon me to not do it, that’s just the bottom line. Nobody’s really working on me with it or trying to help me out with it. It’s on me to fix it. For sure. I don’t lose it if I think the call’s a good call. I would never lose it, obviously. Whether or not the call is right or wrong, I should stay even keel and react the same way. That’s just it. I just have to react the same way no matter what the situation is. -I’ll have a full recap of Tip-A-King up tomorrow, but according to the club’s community relations department, approximately $350,000 was raised. This is tremendous – the generosity of Kings fans to support the club’s charitable endeavors never fails to impress. 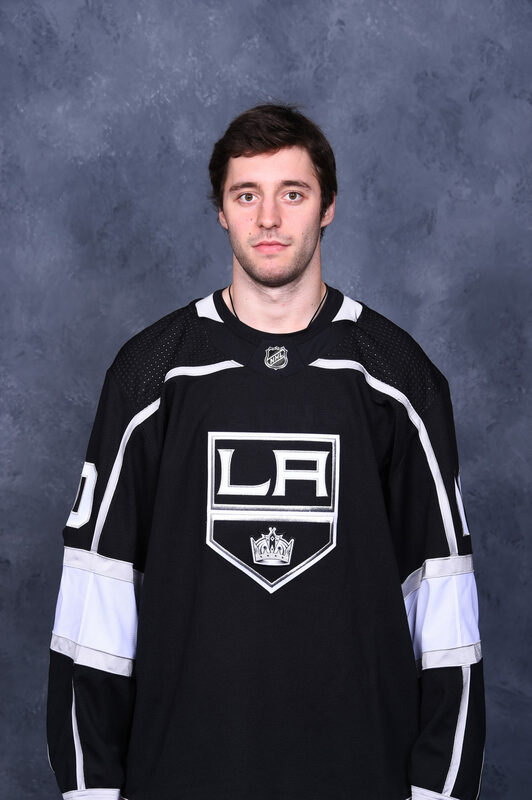 -Selected in the third round of the 2014 NHL Draft, Michael Amadio is Los Angeles’ most recent draft pick to play in the NHL. 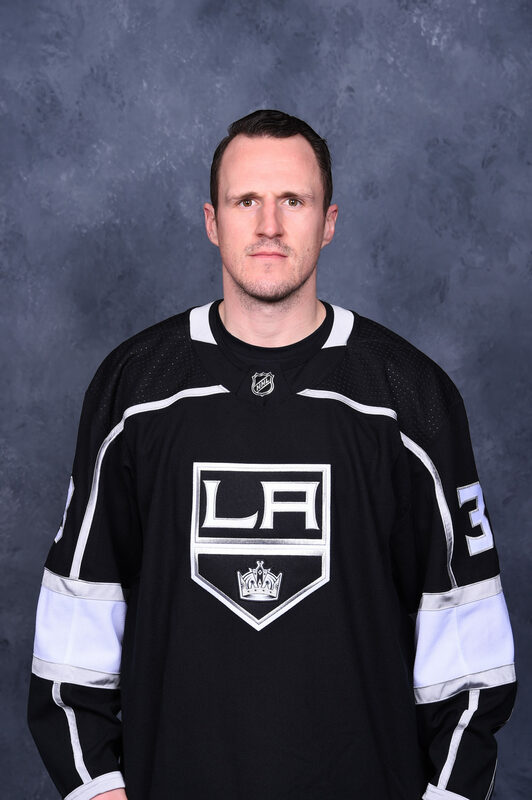 He’s taking advantage of the opportunity, too, having totaled four goals and seven points in 27 games while factoring into the club’s power play efforts. 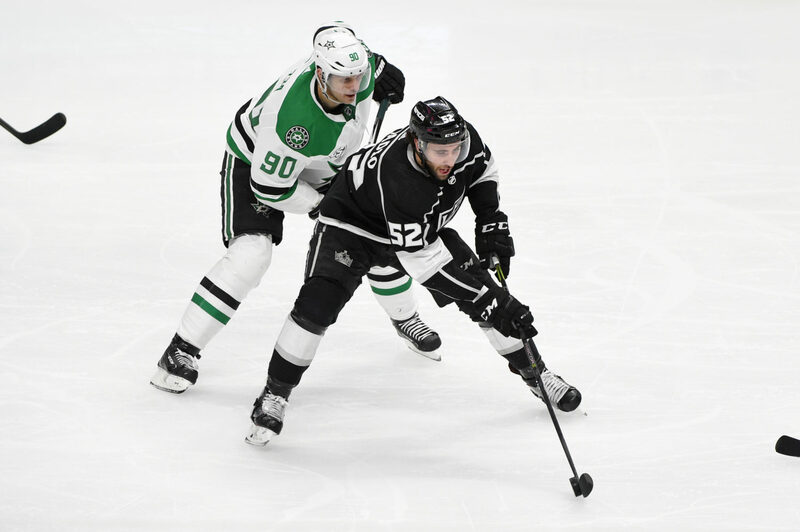 One goal and three of Amadio’s seven points have been recorded on the man advantage, where he averages 45 seconds of time per game. What type of skill set allows for him to be a power play option?